Grease & Lubricants: FLO Components – synthetic lubricants for bearings, hydraulic systems, compressors & vacuum pumps, food grade lubricants, oils for compressors, oven chains, seamers – FLO Components – Automatic Lubrication Systems Specialist in Ontario and Manitoba. Maximizing equipment performance while minimizing wear is the key to success in any manufacturing operation. Demanding applications require high performance lubricants. Our lines of synthetic lubricants are used on mobile equipment bearings, hydraulic systems, compressors & vacuum pumps, gas turbines, and automotive & transmission bearings. 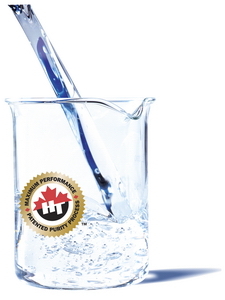 FLO also carries a wide selection of food grade lubricants, and oils for compressors, oven chains, hydraulics and seamers, to meet all your food and beverage industries’ special HACCP compliant requirements. 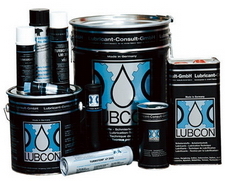 Our selection of lubricants include products from Anderol, Petro-Canada, Shell, LUBCON and Super Lube®. When you choose ANDEROL Synthetic Lubricants from FLO, you get reliability based on proven experience! Experience gained as pioneers in the development of synthetic lubricants! Innovation combined with a first-class product helps you meet your lubrication objectives on an on-going basis. 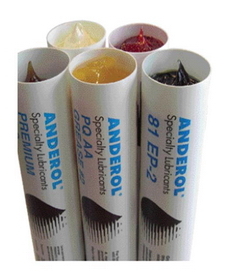 ANDEROL lubricants are formulated from self-manufactured, high purity organic esters and high quality synthetic hydrocarbon fluids. Manufactured under rigid, quality controlled conditions and in accordance with processes defined by their ISO-9001 quality system. ANDEROL lubricants are created specifically for individual applications and resulting from long-term development partnerships with leading manufacturers of heavy-duty equipment. Routine and severe applications in numerous industries (including the military), have proven their performance capabilities, versatility and quality. ANDEROL Baking Chain Oil 150 is high performance ester based chain oil designed for use in high temperature applications. This oil is produced using patented technology to provide high flash and fire points. It prevents wear and minimizes deposits with a natural detergency to maintain cleaner chains with fewer operational problems. Whether mineral or synthetic-based, conventional or special greases – LUBCON greases offer the right high-performance solution for your application! FLO Components provides LUBCON greases for high and low temperatures, high loads (EP), high speeds, biodegradable greases, water and oxidation-resistant greases, radiation-resistant greases or greases suitable for rough, fine, and high working vacuum pumps. Whether mineral-based greases for modern applications or synthetic-based greases, LUBCON high-performance lubricants offer excellent protection against friction, wear and corrosion and increase life of your components. LUBCON offers a broad selection of oils with superior creeping and wetting properties, customized to meet operational requirements. Alongside classic mineral oils, LUBCON’s wide portfolio includes high-performance synthetic oils, geared to the demands of modern production processes. 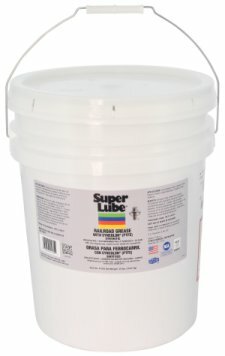 The LUBCON product range includes high and low temperature oils, water and media-resistant as well as extremely pressure-resistant oils with good penetration capabilities for nearly every application, from H1-certified oils for the food industry to biodegradable fluids for environmentally sensitive areas. Super Lube® Railroad Grease is a NLGI #1 grade grease specially formulated for track side lubricators used to reduce the noise and wear associated with wheel flange to curved rail sections on light rail systems. Rated H-1 by the USDA and NSF for incidental contact with food or potable water, Super Lube® RailRoad Grease offers an environmentally friendly alternative to the typical curve grease. The addition of Syncolon® PTFE, enhances the lubricity of the synthetic base oil, and accounts for the exceptionally long tracking results achieved, which reduces the number of lubricators required, resulting in an overall cost savings. Contact us now for a no-obligation Audit of all your lubrication applications.